Xiaomi is working on computational photography technology that can save poorly exposed images. DeepExposure is an AI algorithm trained against thousands of images retouched by experts. The results could be used to improve camera capabilities on Xiaomi phones. A decent camera is often the benchmark we set when choosing a smartphone. Aside from the touchscreen, the camera is undoubtedly the most-used feature, so it’s no surprise that manufacturers pour their efforts into improving the photography experience. Lately, this has resulted in both more lenses and the increased use of AI, typically for mimicking the bokeh effect typical of DSLR setups. Where cameras fall short, editing software works magic. Applying filters, tweaking colors, and adjusting lighting all offer ways to breath more life into subpar images. Image exposure – the amount of light let in for a picture – is sometimes the hardest setting to nail, especially in selfies. Either the face is too dark and the background is perfect, or the background is blown out but you can see the faces. Xiaomi has been working on a solution, something it calls “DeepExposure” AI. 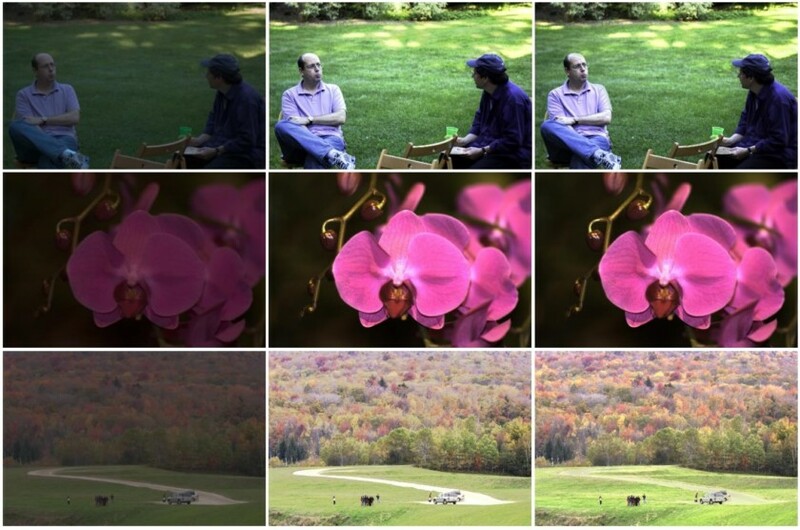 According to a new paper outlining the process, DeepExposure divides an image into multiple segments, then adjusts the exposure for each part separately. From there, all the segments are merged, resulting in a picture with superior brightness and detail. Xiaomi trained the AI using 3,000 pictures from the MIT-Adobe FiveK dataset, which includes both RAW photos and expert retouched ones. With a properly exposed photograph, details that were once blown-out become visible and highlights are tamed. Other companies are also using AI to enhance images. Google recently debuted Night Sight on the Pixel 3 and 3 XL. Similar to DeepExposure, Night Sight uses algorithms to analyze different exposure levels and combine them into one, properly lit image. OnePlus attempts to achieve a similar effect with its own night mode on the OnePlus 6T. Huawei also uses AI on its camera to detect scenes before the shot is taken, adjust filters, and even for video editing. Since we might be approaching hardware limits, with most flagship devices already sporting at least two lenses, it’s clear that AI is the next frontier for smartphone photography. With any luck, we’ll see Xiaomi’s DeepExposure used in its future phone lineup.